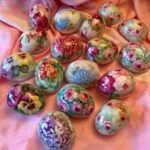 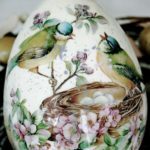 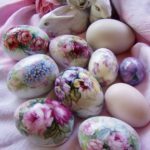 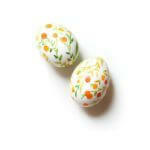 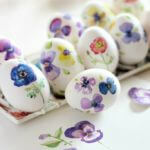 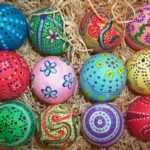 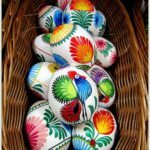 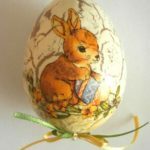 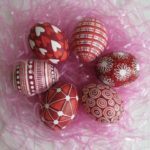 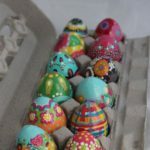 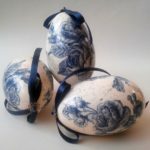 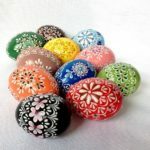 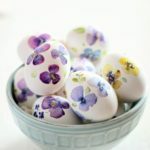 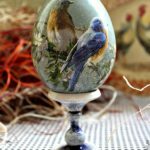 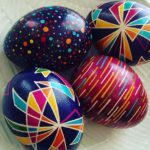 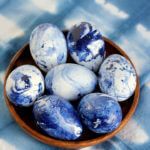 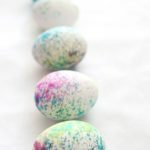 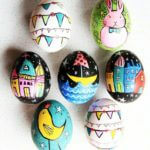 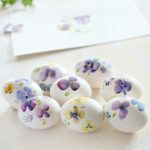 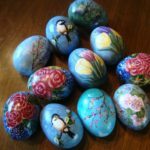 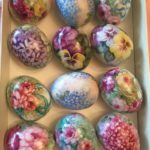 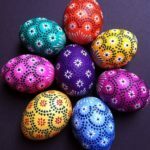 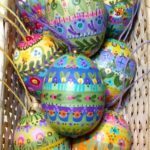 You may find it helpful to sketch some ideas and patterns for your eggs before you start painting. 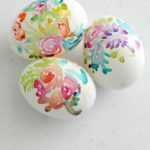 Use a pencil to sketch an outline of your design on the eggs. 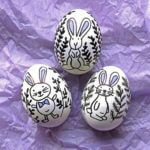 It’s way easier to erase mistakes at this stage. 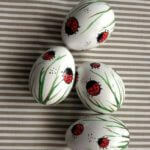 When using watercolor paints, keep it pretty thick to avoid a trail of tears running off the surface of the egg. 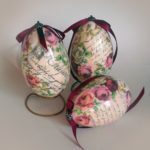 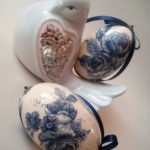 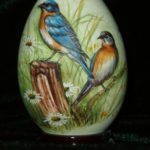 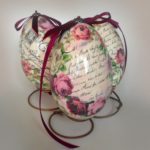 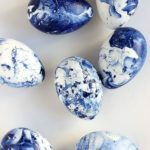 This entry was posted in Creative Stuff, Easter and tagged Easter gifts on April 8, 2019 by Dan C.
Thanks, Demeter! 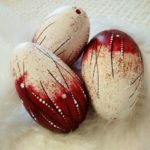 I love them, too!